Last week saw two major announcements that will affect Cuba cruise volumes not only in 2016, but also for years to come. The first came from MSC Cruises, which announced that it would be basing its 1,756-berth MSC Opera at Havana from this December until April 2016, while the second was an announcement by Carnival Corp & plc that fathom’s 710-berth Adonia would be offering fortnightly 7-night sailings from Miami to Cuba. Further north, not only Bermuda, but also Quebec suffered in a planned shuffle by Holland America Line. Although cruise ship tourism to Cuba has grown more than five-fold over the past three years, it is now set to grow exponentially with two recent announcements by major cruise lines. 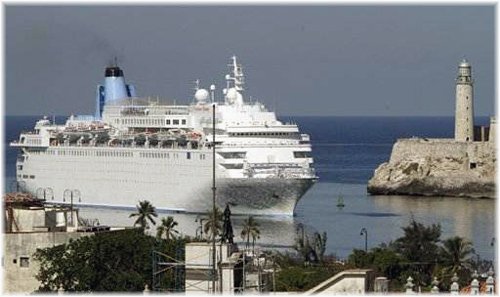 A recent statement by the Cuban transport ministry confirmed that the number of cruise ship visits to Cuba rose from twenty-four in 2012 to 139 last year, while cruise passenger numbers saw a similar jump from 6,770 to 37,519. Up to May of this year there have already been 174 port calls and 62,183 passenger visits, according to the ministry. In light of this, the two major announcements that have been made in the past ten days will mean even more growth for Cuba. First out of the gate was MSC Cruises, which has announced plans to base its MSC Opera in Havana over the winter of 2015-16. The company will be the largest cruise line offering sailings from Havana, with 7-night cruises beginning from the capital on December 22 and running until April 12, 2016. These cruises will include two nights in Havana. But Havana will be the only Cuban port, with the Opera’s new Itineraries featuring Montego Bay, Cozumel and Grand Cayman. The MSC Opera joins Celesytal Cruises’ 966-berth Celestyal Cristal in the seasonal winter trade from Havana, except that the Cristal calls at several Cuban ports while the MSC Opera calls only on Havana. Fly-cruise packages will be available to passengers from Italy, Spain, France, Germany, Canada, Brazil and Argentina. MSC Opera’s original winter schedule featuring the Canary Islands, Madeira and Morocco has now been cancelled. Meanwhile, US-based Carnival Corp & plc has announced that is has received permission to begin sailing to Cuba from May 2016 with its new fathom brand. These 7-night cruises from Miami will be by the 710-berth MV Adonia, which just last month had been announced for the Dominican Republic trade. The answer is now self-evident as to why some sources said she would only go to the Dominican Republic every second week, because it seems to have been planned all along that she would alternate with Cuban sailings. The largest cruise ship currently based in Cuba is the Celestyal Cristal, which first entered service for a Canadian-Cypriot joint venture, which is now wholly owned by the Louis Group, which operates Celestyal Cruises. 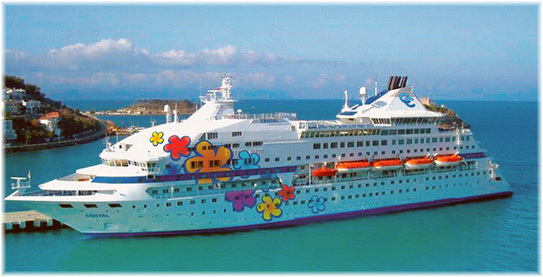 Now as Celestyal Cristal, this vessel operates from Havana by winter and in the Greek Isles by summer. Several non-US cruise lines such as Star Clippers, Thomson, Saga, Fred Olsen, Swan Hellenic and Noble Caledonia include stops in Cuba in their Caribbean itineraries. Ironically, Costa Cruises too was once active in the Cuban cruise market and had an agreement to operate cruise ship terminals at a number of Cuban ports. However, this arrangement had to be terminated when Carnival acquired Costa. The Carnival announcement highlights the easing of trade and travel restrictions with the United States earlier this year. US president Barack Obama recently announced that the US Embassy in Havana would reopen next Monday, July 20, more than fifty years after the US and Cuba broke off diplomatic relations. Carnival Corp is the first US-based cruise operator to win approval to operate culturally-themed excursions to Cuba. In May, the US Treasury Department also approved several licenses for passenger ferry services between the United States and Cuba. And in addition, earlier this month, the Treasury Department issued a license authorizing Palm Beach-based luxury yacht company Paul Madden Associates to provide charter services to Cuba. Fathom will transport American passengers from May 2016 using P&O Cruises’ Adonia. Demand for these cruises is expected to be high and Carnival has priced them accordingly, with fares beginning at $2,990 per person plus taxes and port fees. The similar service-oriented trip on the same ship to the Dominican Republic starts at $1,540 per person. Carnival said the Cuban cruises would focus on education, the environment and economic development and feature Spanish lessons and workshops on the country’s heritage. There will be no casinos or stage shows. The itinerary is still being finalized as Carnival seeks approval from the Cuban government. As well as Havana, the Adonia is expected to visit ports that could include Cienfuegos, Santiago and possibly Isla de la Juventud. 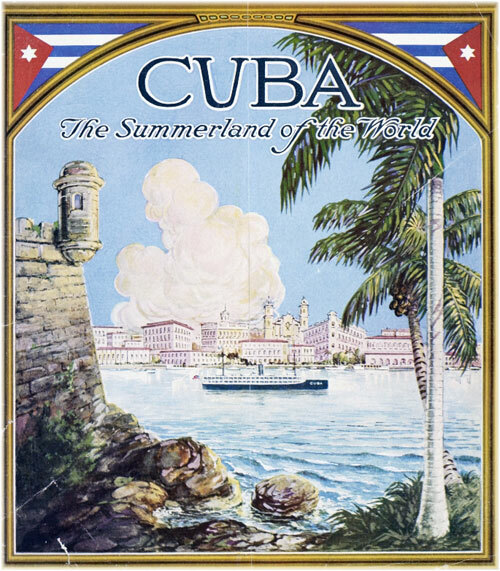 The last passenger ship to leave Havana for the US, in September 1962, was the West India Fruit & Steamship Company’s City of Havana, and for more than a half-century only European ships have called at Cuban ports. Following a recent release by Orlando Ashford, the new president of Holland America Line, it is worth examining what really is happening with Holland America’s most regular services on the East Coast. The news last week was that the 1,348-berth Veendam would be making only four visits to Bermuda in 2016 as opposed to six this year. 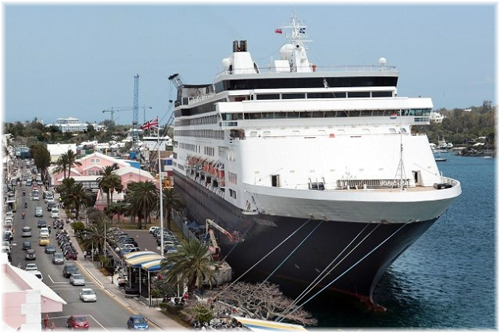 In 2012, which was her last full season of Bermuda cruises, the Veendam made a total of 19 trips to the island. But Bermuda is not the only destination to lose. Quebec too will lose its regular Quebec-Boston sailings in 2016, as the Veendam will now move to become Holland America’s regular Montreal ship. The Veendam will next year offer eight 14-night round trip cruises from Montreal, most of which can be divided into 7-day Montreal/Boston or Boston/Montreal one-way cruises. The four cruises that will be made from Boston to Bermuda will also be combinable into a 14-night Bermuda and Canada itinerary. Meanwhile, the 1,266-berth Maasdam, up until now Holland America’s regular Montreal ship, will transfer to Seattle in 2016, where she will undertake nine 14-night round trips “Great Land Explorer” cruises to Alaska.